New year to me = resetting my reading count to 0 and looking forward to all the new releases that will be coming out over the year. Although there are many still not announced, here are the five that I have heard about that I'm most excited for. 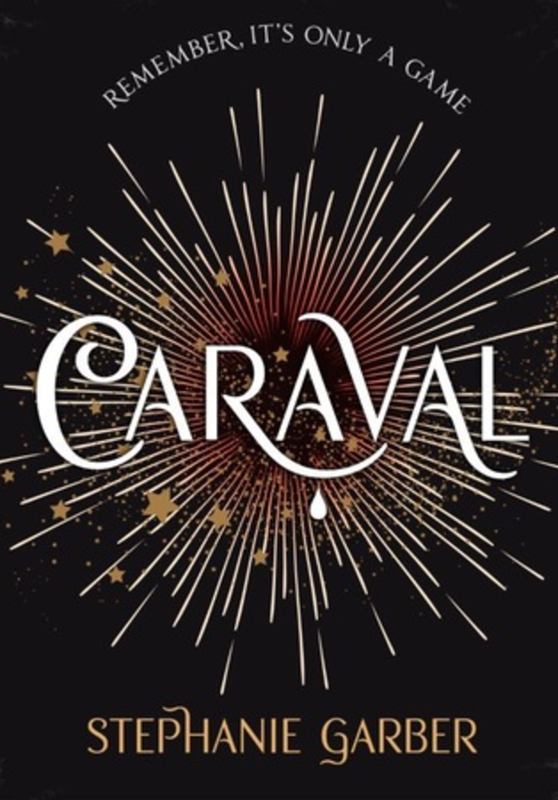 Welcome to Caraval, where nothing is quite what it seems.Scarlett has never left the tiny isle of Trisda, pining from afar for the wonder of Caraval, a once-a-year week-long performance where the audience participates in the show.Caraval is Magic. Mystery. Adventure. And for Scarlett and her beloved sister Tella it represents freedom and an escape from their ruthless, abusive father.When the sisters' long-awaited invitations to Caraval finally arrive, it seems their dreams have come true. 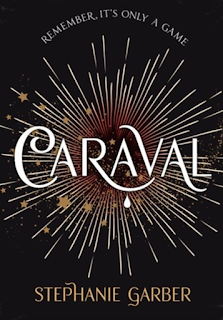 But no sooner have they arrived than Tella vanishes, kidnapped by the show's mastermind organiser, Legend.Scarlett has been told that everything that happens during Caraval is only an elaborate performance. But nonetheless she quickly becomes enmeshed in a dangerous game of love, magic and heartbreak. And real or not, she must find Tella before the game is over, and her sister disappears forever. The first I heard of this was a leaflet in one of the book subscription boxes I get. It is described as being similar to The Night Circus so I was immediately interested. I've since spoken to some people who have received ARCS and they have told me how amazing it is. I seriously can't wait and I think this is the book I'm most excited about being released next year. Luckily I won't have to wait long to read it as it is out on the 31st of January. The great Norse myths are woven into the fabric of our storytelling – from Tolkien, Alan Garner and Rosemary Sutcliff to Game of Thrones and Marvel Comics. They are also an inspiration for Neil Gaiman's own award-bedecked, bestselling fiction. Now he reaches back through time to the original source stories in a thrilling and vivid rendition of the great Norse tales. Gaiman's gods are thoroughly alive on the page – irascible, visceral, playful, passionate – and the tales carry us from the beginning of everything to Ragnarök and the twilight of the gods. 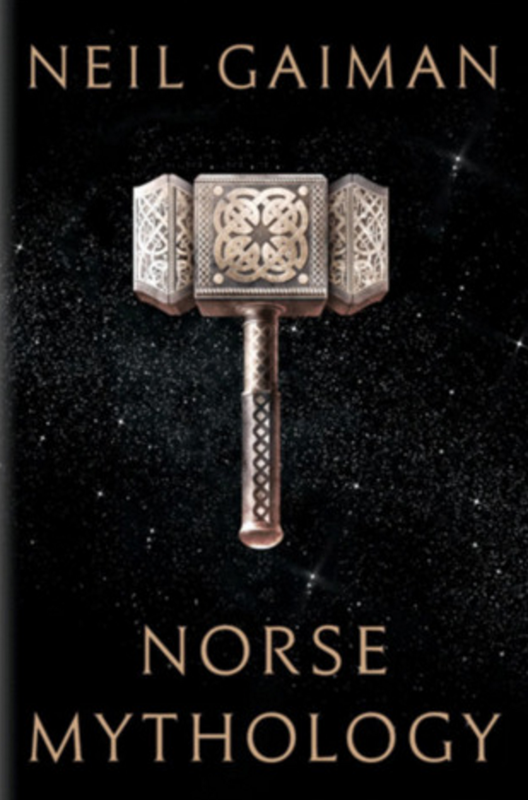 Galvanised by Gaiman's prose, Thor, Loki, Odin and Freya are irresistible forces for modern readers and the crackling, brilliant writing demands to be read aloud around an open fire on a freezing, starlit night. 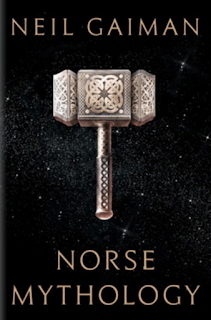 I'm a huge Neil Gaiman fan so when I saw this book announced I was instantly intrigued, especially as Norse Mythology comes up in so many fantasy books and graphic novels that I love. I can't wait to give this a go and see how Neil Gaiman adds his personality to the book. This is out on the 7th of February. Feyre has returned to the Spring Court, determined to gather information on Tamlin's manoeuvrings and the invading king threatening to bring Prythian to its knees. But to do so she must play a deadly game of deceit - and one slip may spell doom not only for Feyre, but for her world as well. 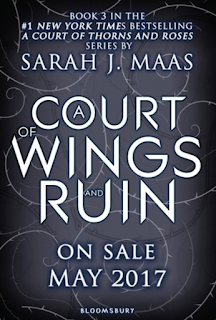 As war bears down upon them all, Feyre must decide who to trust amongst the dazzling and lethal High Lords - and hunt for allies in unexpected places. 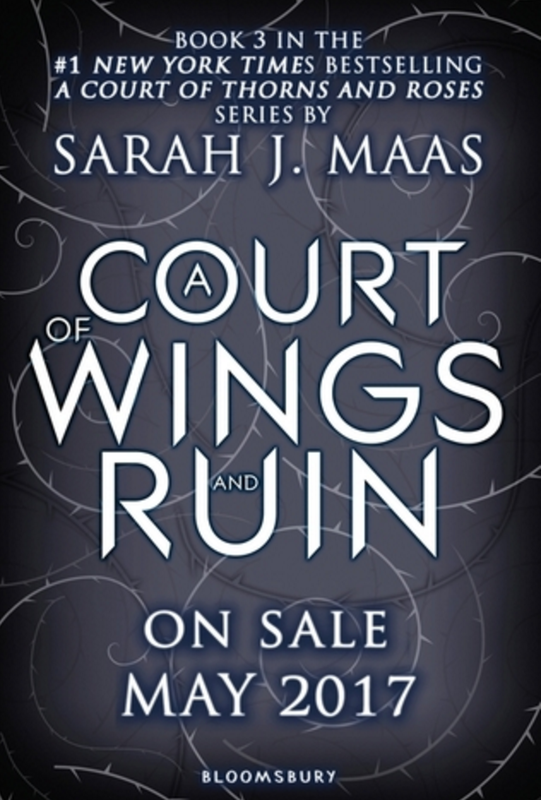 This is the third book in the A Court of Thorns and Roses series and I'm sure this will be on many peoples most anticipated of 2017 lists as A Court of Mist and Fury was so well received. I haven't actually read the first two books in the series but as this book isn't out until the 2nd of May I have plenty of time to get on the bandwagon! Londons fall and kingdoms rise while darkness sweeps the Maresh Empire, and the fraught balance of magic blossoms into dangerous territory while heroes struggle. The final book in the Shades of Magic epic fantasy series, A Conjuring of Light sees the newly minted New York Times bestselling author V. E. Schwab reach a thrilling conclusion concerning the fate of beloved protagonists - and old foes. Another sequel, this time to the Darker Shade of Magic series which I have read and really enjoyed. The second book ended in quite a dark place so I can't wait to see where the third book picks up. 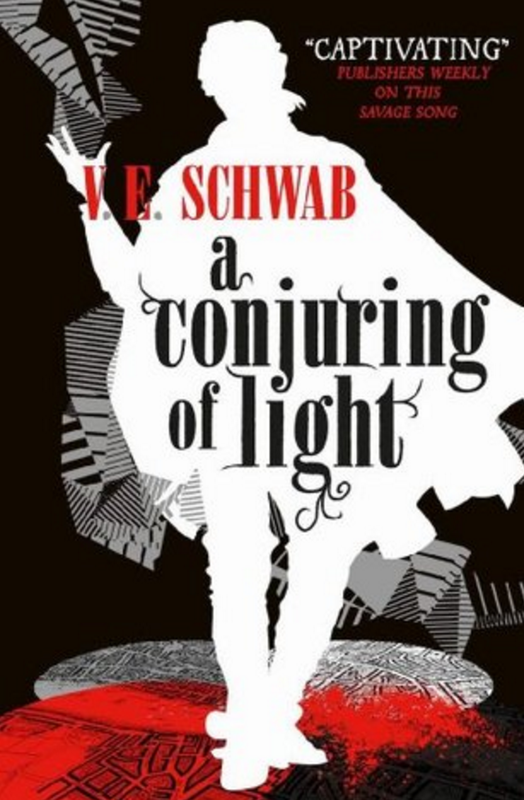 I actually enjoyed A Gathering of Shadows more than A Darker Shade of Magic so I'm hoping the third book continues that trend and is even better. Out on the 21st of February. 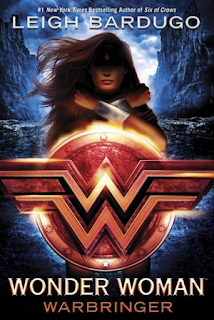 Diana longs to prove herself to her legendary warrior sisters. But when the opportunity finally comes, she throws away her chance at glory and breaks Amazon law risking exile to save a mere mortal. Even worse, Alia Keralis is no ordinary girl and with this single brave act, Diana may have doomed the world. Alia just wanted to escape her overprotective brother with a semester at sea. She doesn't know she is being hunted. When a bomb detonates aboard her ship, Alia is rescued by a mysterious girl of extraordinary strength and forced to confront a horrible truth: Alia is a Warbringer a direct descendant of the infamous Helen of Troy, fated to bring about an age of bloodshed and misery. Together, Diana and Alia will face an army of enemies mortal and divine determined to either destroy or possess the Warbringer. If they have any hope of saving both their worlds, they will have to stand side by side against the tide of war." If it wasn't obvious I'm a huge graphic novel fan so the fact that they are doing a Wonder Woman novel excites me a lot. Leigh Bardugo is the mastermind behind The Six of Crows series so that teamed with an amazing subject makes me very hyped for this book, also just look at this cover! It looks epic. Unfortunately this one isn't out until the 29th of August so I will have to wait slightly longer for this one. I'm sure there are a million and one books I have forgot to include in this list or don't know about, not to mention the sequel to This Savage Song but I didn't think I could include two V.E Schwab books! Let me know what your most anticipated releases are as I am always on the hunt for more.